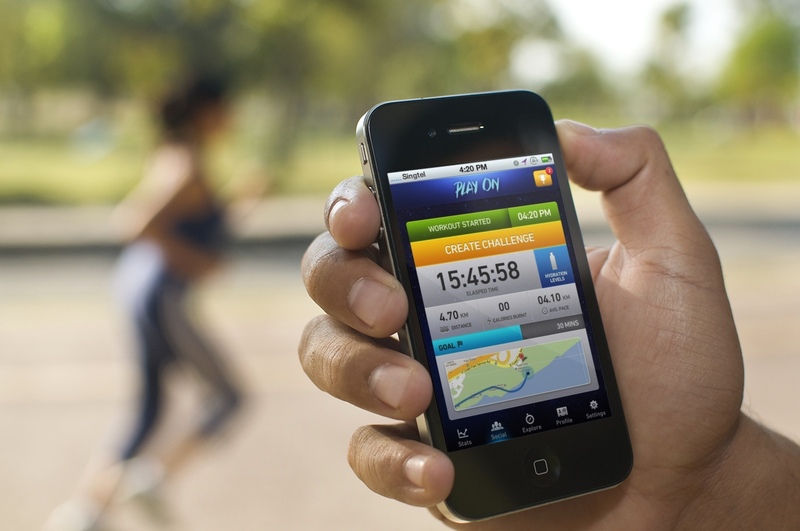 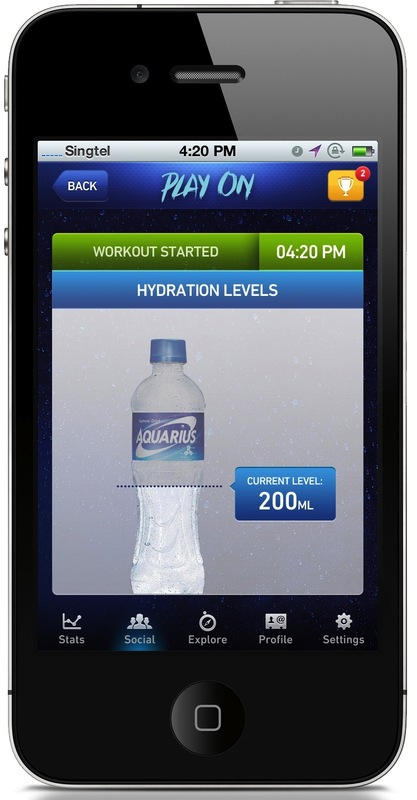 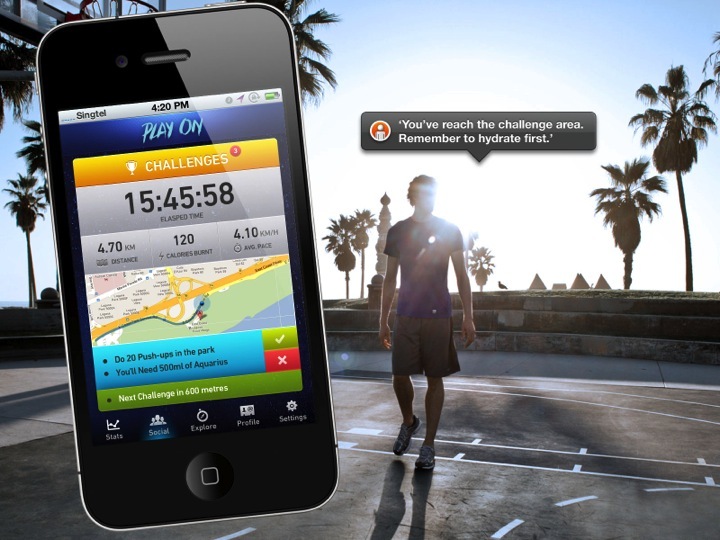 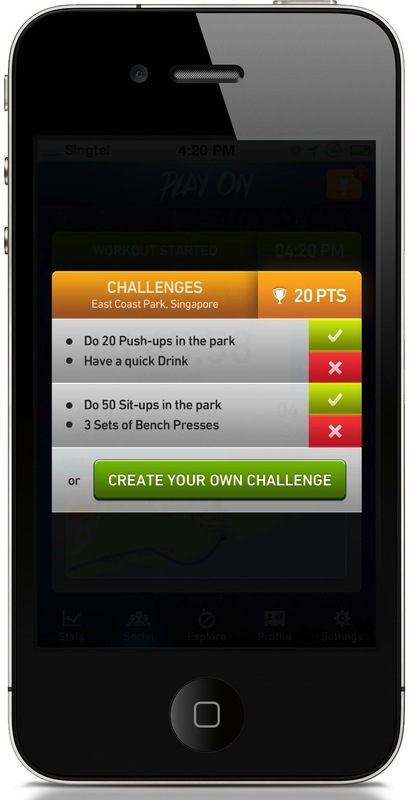 The client had already produced a “hydration calculator” smartphone app that would show users how much fluid the exercise of their choice would cause them to lose — activating the brand’s goal of pre-hydration (before strenuous activity). 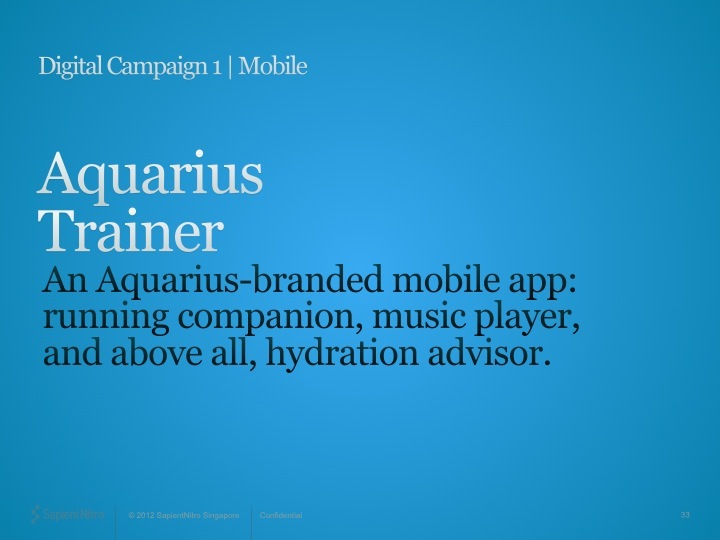 We proposed building on this with a socially-connected fitness tracking app that would be their personal trainer, dishing out spoken motivation, location-specific challenges, and regular hydration reminders, all over the music of their choice. 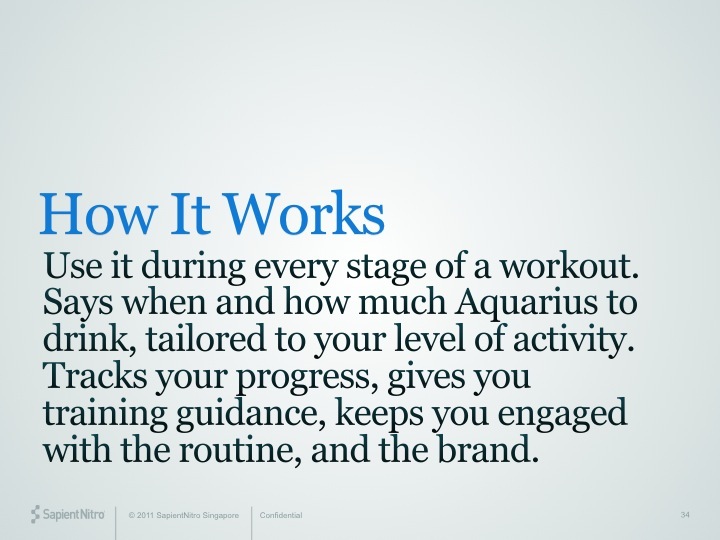 Challenges would be contributed by the Aquarius community; creating one requires setting an example! 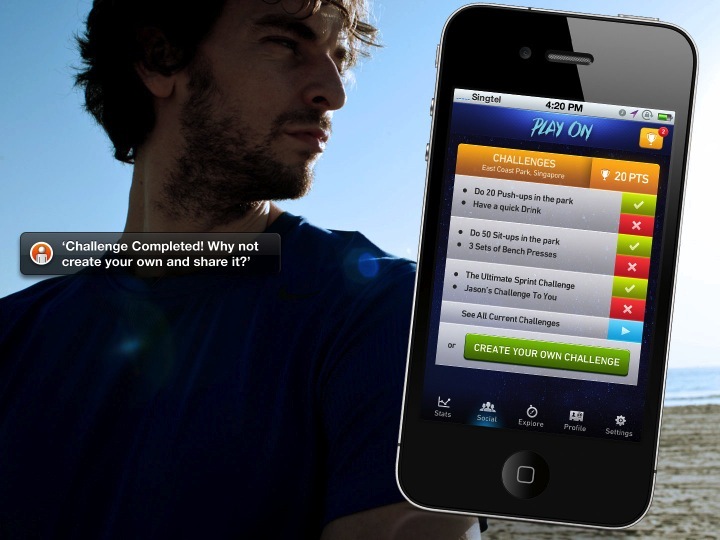 Completing and setting challenge flags leads to achievements. 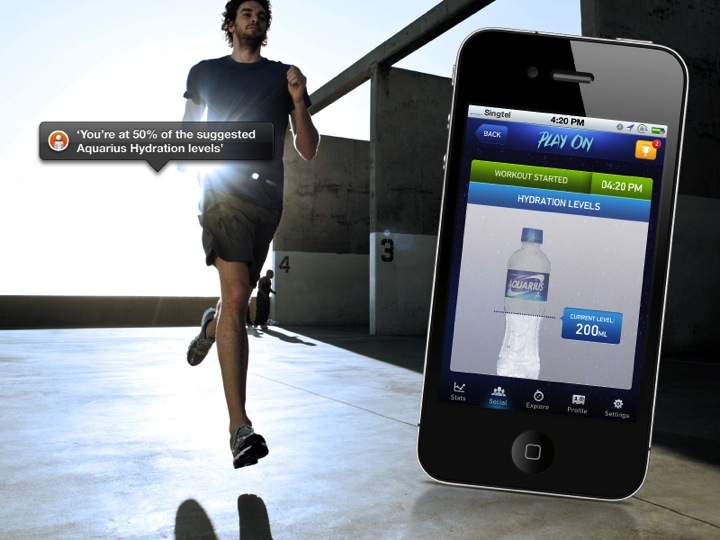 Naturally, the product is an important part of the workout experience. 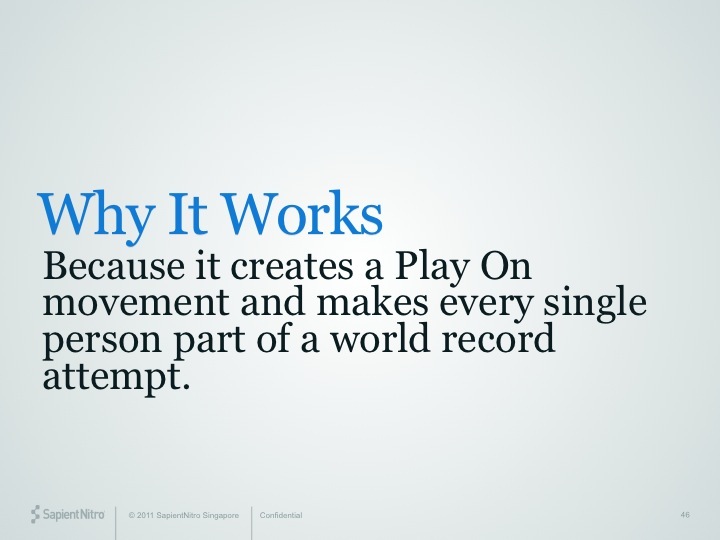 Bringing to life the brand’s existing tagline, “Play On”, this concept shoots for a world record-breaking attempt: the longest sports video. 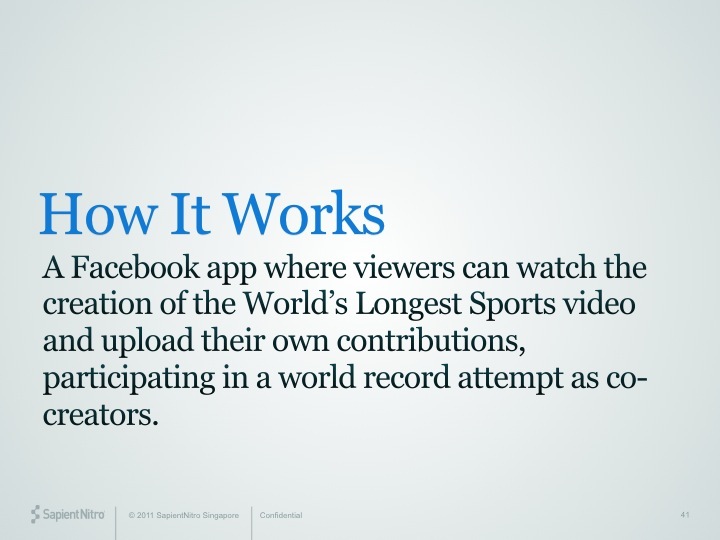 Users share their home videos, be it soccer practice or skateboarding tricks, and they are dynamically stitched together online to create a continuous video, making each participant a record holder in the process. 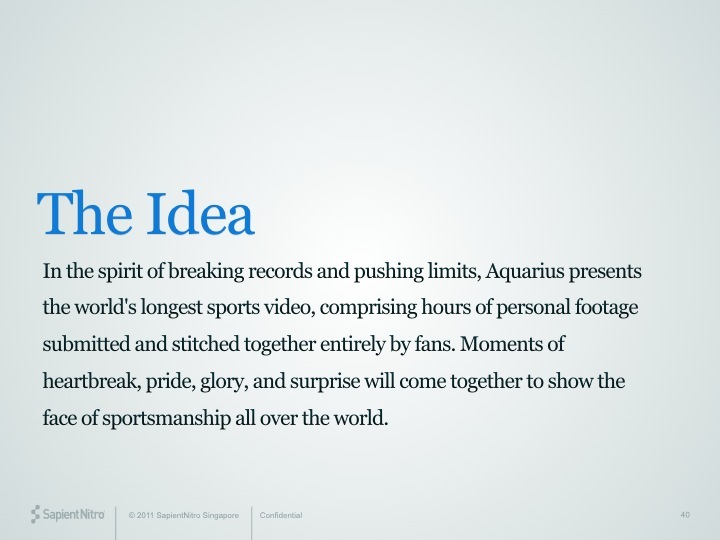 Users would be able to choose from a range of Aquarius-themed transitions to introduce their entries. 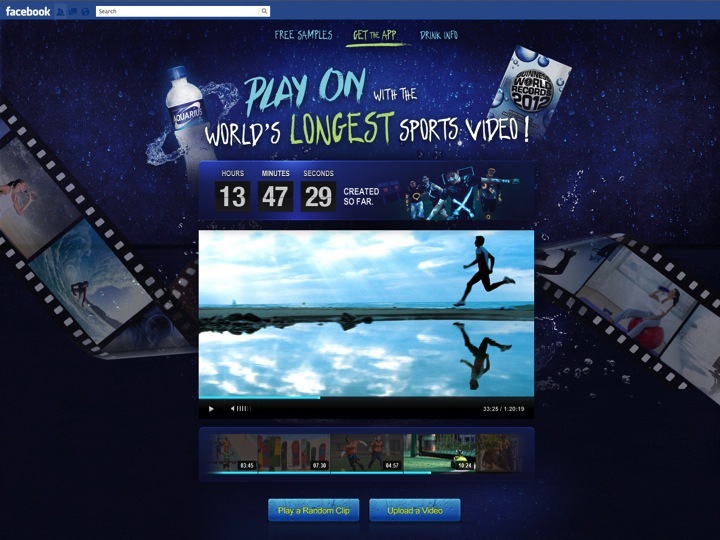 A counter shows the current length of the world’s longest sports video. 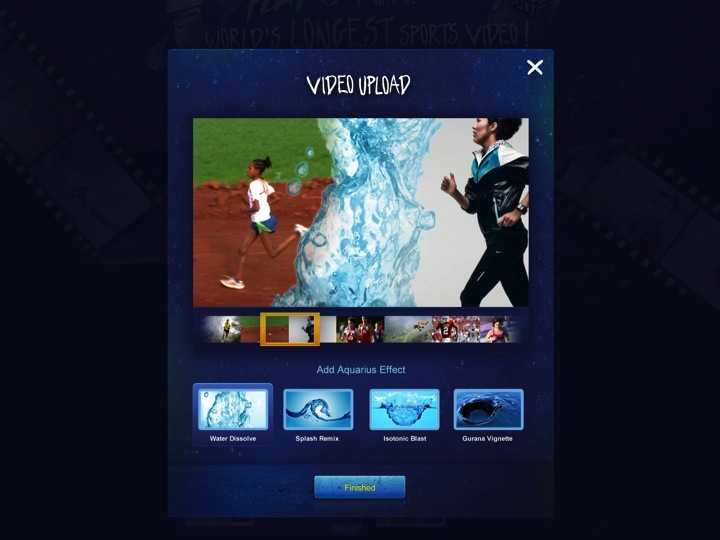 Users have a hand in editing together the finished video, by selecting transitions and effects. 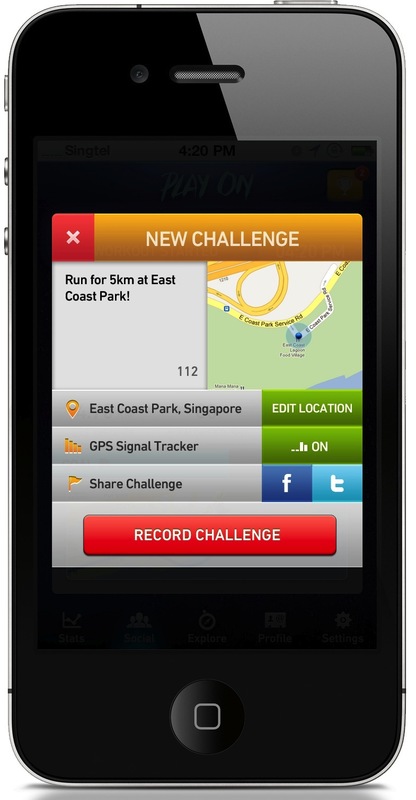 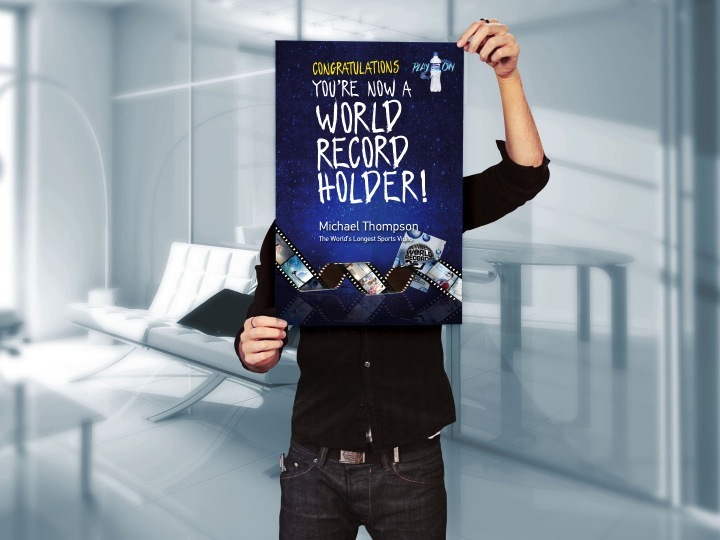 At the end of the campaign period, all participants would be recognized as contributing to a Guinness world record.